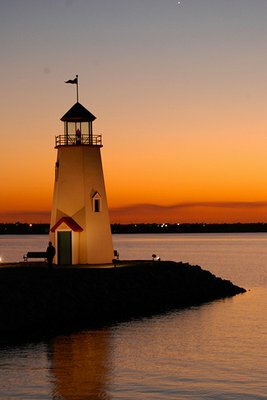 The Lake Hefner lighthouse in Oklahoma City seems to glow in the brilliant sunset. 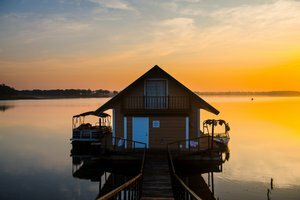 Lying completely within the city limits of Edmond and Oklahoma City, Arcadia Lake is a great getaway for city dwellers looking for a taste of the outdoors without leaving town. You can enjoy all your favorite outdoor activities like fishing, boating, swimming, camping, mountain biking and more. Bring your friends and play a round on the lake’s Frisbee golf course, or just enjoy the day in nature at one of the picnic areas or pavilions. If the water is your main attraction, take a dip at one of the designated swim beaches, or cast your line at the heated, handicap-accessible fishing dock. Spend an afternoon at Arcadia Lake and you’ll forget you’re in the state’s largest metro area. Of course, city life has its perks too. After your day on the water, point your car toward those bright lights and enjoy everything the metro area has to offer. 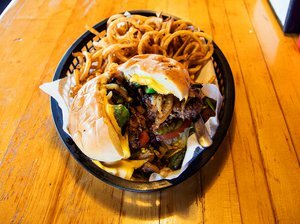 Keep up the aquatic theme with a meal at Off the Hook Seafood & More in OKC, where you can feast on soft shell crab po-boys, fried fish baskets and a whole lot more. (Don’t forget a side of Off the Hook’s irresistible Kool-Aid pickles!) If you’re feeling more landlocked, Humble Pie in Edmond has got you covered with their award-winning, Chicago-style deep dish pizzas. 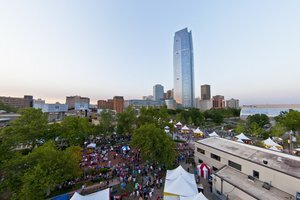 However you’re looking to round out your day at the lake, you’re sure to find it in the Oklahoma City metro area. 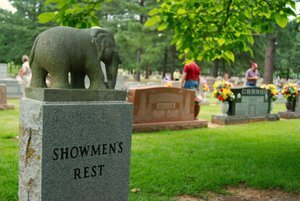 Located just 10 miles outside the charming college town of Stillwater, Lake McMurtry offers great opportunities for lakeside fun in central Oklahoma’s Frontier Country. Enjoy gorgeous scenery, spectacular sunsets and plenty of outdoor recreation at this under-the-radar gem featuring group facilities, picnic areas, outdoor grills, a disc golf course and more. Go off the beaten path on one of the area’s four hiking and mountain biking trails at the Lake McMurtry Natural Resource & Recreation Area. Whether you’re looking for outdoor exercise or lakeside leisure, do yourself a favor and see what adventure waits at Lake McMurtry. While you’re in the area, come see what’s happening in Stillwater. Whether you’re a longtime regular, or you’ve just seen the T-shirts, no Stillwater trip is complete without a visit to Eskimo Joe’s Restaurant. This local institution, offering some of the best bites and brews in town, was voted “Best College Post-Game Hangout” by the Sporting News and was ranked third on Sports Illustrated’s list of “The 10 Perfect College Sports Bars.” For more local flavor, check out the Iron Monk Brewing Company Taproom, where you can enjoy offerings from one of the most exciting craft breweries in the state, or check out the many local restaurants and boutiques lining the historic downtown strip. 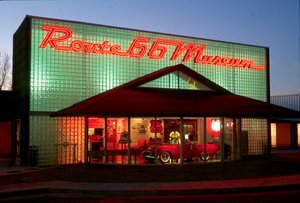 Whether you bleed Cowboy orange, or you’re just looking for a fun weekend, you’ll find plenty to love in Stillwater on your trip to Lake McMurtry. Lake Hefner is one of the state’s premier urban lakes, featuring all the outdoor opportunities you expect from an Oklahoma lake just a quick drive from OKC’s central core. Put some wind in your sails with a private sailboat charter tour courtesy of Sail Lake Hefner, explore the lake’s nine miles of walking/jogging trails, or grab your bike and hit the Bluff Creek mountain biking trail located just north of the lake. Feeling more adventurous? Rent a kayak or paddle board from Riversport Adventures at Lake Hefner, or take classes one of the youth or advanced sailing camps offered at the Sailing Center. You’ll definitely want to grab a bite at Hefner Grill. This upscale, lakefront restaurant offers a lot more than unbeatable views. Feast on fresh offerings like fish tacos, cedar plank salmon, blackened tilapia, pepper-crusted tuna and a whole lot more at this seafood fanatic’s paradise. After satisfying your appetite, enjoy a round at the award-winning Lake Hefner Golf Club, featuring two separate 18-hole courses along with a three-hole academy course. For something a little different, learn how to harness the power of the wind at Nate’s Kiteboarding University. With so many wonderful options for dining, scenic views and lakeside adventure, you’re sure to make memories that will last a lifetime at Lake Hefner.